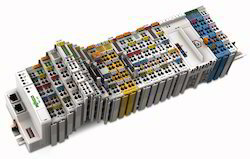 - Feeder CRP, Transformer CRP, Generator CRP, Busbar CRP, Bus Coupler CRP. Specification, Feeders, Energy Meterig devices, we offer comprehensive single stop Substation SCADA Software development and implemetation on Turnkey Project basis. Our Substation Automation devices offer a seamless and scalable solution for automating and providing visibility to power system networks. Led by our team of seasoned industry experts, We can develop, integrate and deliver a complete automation system that is tailored to a customer’s specific needs and requirements. CG delivers highly reliable and flexible turnkey substation automation solutions worldwide. Whether upgrading existing substations or delivering complete protection and automation solutions for new greenfield sites, we provide cost effective solutions based on open standards to simplify future expansions, maintain and minimise lifetime costs. 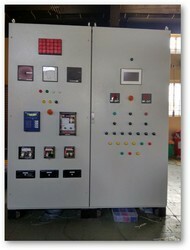 · Main substation control room. Sub station monitoring and control system includes , monitoring and control for energy comsumption , Incomers, Transformers, VCB's, Capacitor Bank Breaker Status Report, Power Consumption Datas Power Meter Communication Through Remote I/O. Auto report generation through web application . Oasis Services are designed to participate in our client’s business growth. By combining technology with experience we can provide successful solutions to Substation Automation.